• Displace to reconstruct unfrozen areas to match the displacement at the starting point for the reconstruction. You can use Displace to move all or part of the preview image to a different location. • Amplitwist to reconstruct unfrozen areas to match the displacement, rotation, and overall scaling that exist at the starting point. • Affine to reconstruct unfrozen areas to match all local distortions that exist at the starting point, including displacement, rotation, horizontal and vertical scaling, and skew. 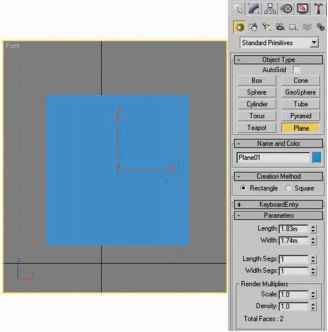 2 Select the reconstruct tool ■■'', and in the preview image, hold down the mouse button or drag from a starting point. This spreads the distortion sampled at the starting point. (If there is no distortion, the effect is the same as using Revert mode.) Pixels move more quickly at the brush center. You can set new starting points and use the reconstruct tool repeatedly to create a variety of effects. Note: The Reconstruct button is not available in Displace, Amplitwist, and Affine reconstruction modes.